The Powerpuff Girls were instantly popular with young viewers when they first swooped in to save the day on Nov. 18, 1998. The original series ran until 2005 and spawned a feature length film, giant balloons in the Macy’s Thanksgiving Day Parade and an eventual revival on Cartoon Network. But the show’s legacy remains the lessons taught to legion of fans about the world they were growing into. The Powerpuff Girls dealt in radical messages. In less than 30 minutes, an episode would deliver thoughtful readings on societal dynamics in a spectacle fit for child consumption Written by creator Craig McCracken, Jason Butler Rote, Amy Keating Rogers and Chris Savino, episodes delved into themes of feminism, self-esteem and the embrace of individuality. And for young viewer like me, one of the show’s best episodes redefined what it meant to fight like a girl. In a rare half-hour-long episode from the first season (most would split the time allotment with two stories), our heroes, Blossom, Bubbles, and Buttercup, come face-to-face with their male counterparts: Rowdyruff Boys. The episode begins with Mojo Jojo, the evil mastermind behind much of the destruction of Townsville, on a rampage. Following another embarrassing loss at the hands of the superheroines, Mojo decides he needs to fight fire with fire, creating The Rowdyruff Boys with snips, snails, puppy dog tails and toilet water — a placeholder for Chemical X. Once Mojo corrals the boys’ toxic aim in the direction of the girls, they jump into the fight without hesitation. “Instead of fighting,” Miss Bellum says, “try being nice.” The girls interpret “being nice” in their own way, and track down the Rowdyruff Boys at Mojo Jojo’s lair to unleash their secret weapon: affection and femininity. Batting their eyelashes instead of their fists, each girl gives their boy counterpart a kiss on the cheek, causing the Rowdyruffs to spontaneously combust, leaving only traces of their ingredients on the ground. Upon reviewing their victory, Blossom and Bubbles giggle while Buttercup laments of how gross the experience was. 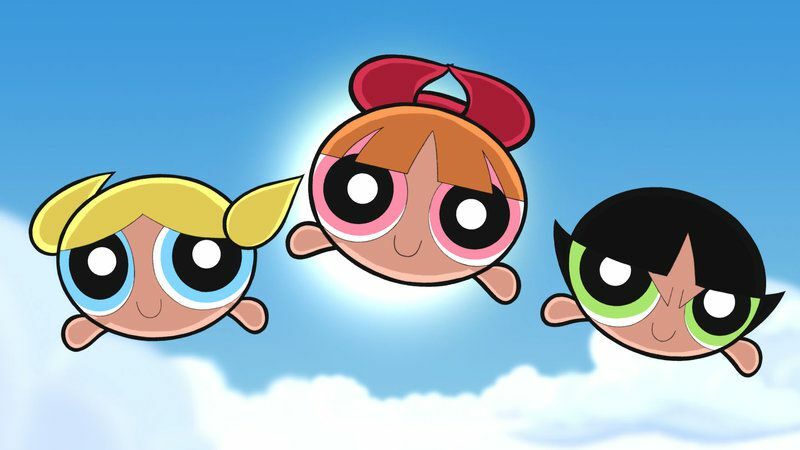 The Powerpuff Girls, which rarely connected Blossom, Bubbles, and Buttercup’s femininity to their superhuman abilities, demonstrated a different take on what it means to “fight like a girl.” The concept goes far beyond exchanging punches for kisses, to a far more tactical and thoughtful approach to conflict resolution that even offers insights into how our society conditions girls and boys. The Rowdyruff Boys exist as equal to the girls in terms of physical fighting and superhuman abilities, but their self-serving needs and willingness to throw others in harm’s way to achieve their goal highlights a major fault in their creation. Perhaps it stays within the lines of villainy, but throwing innocent lives in the way of destruction just to beat a group of girls, is, as the girls observe, unfair. After all, the boys solely exist to defeat the Powerpuff Girls, not destroy the city around them. But in a type of perversion of ‘not taking no for an answer,’ the boys use any means necessary, including endangering the lives of civilians, to complete their task. Ostensibly, kissing boys on the cheek is not the way to win an altercation. With such young viewership and parents likely watching, it is doubtful the writers were going with the idea that our heroines would utilize their romantic pull on the boys as their sole secret weapon. While Bubbles and Blossom giggle after kissing the boys, Buttercup is anything but enthused. The episode could have likely fallen into the harmful trope that a girl’s secret weapon would ultimately be her sexuality. But instead, with Buttercup’s rejection — calling it gross, even spitting on the ground after the fact — the episode implies something else: a variation on affection. Instead of demonstrating their fierce, fighting skills, the girls embrace their femininity. The Rowdyruff Boys don’t have an equivalent to what the girls are doing, and have no defense against modesty and disengagement. For the Rowdyruff Boys, fights are won by throwing punches and not by giving kisses. They are completely dumbfounded by this display of femininity. The underlying meaning behind the kiss highlights how the girls utilize affection, a trait many boys were and are, unfortunately, conditioned to downplay. Rejecting the notion of fighting fire with fire, as Mojo so enthusiastically states upon creating the boys, the girls use the asset they have been shown to embrace throughout the episode. The affection the Powerpuff Girls have isn’t first demonstrated with a kiss on the cheek. All during this specific episode, and previous chapters of the first season, the girls selflessly employ empathy and affection for the people of Townsville. Over and over again, the girls save the city, not for glory, but out of a selfless desire to simply help others. 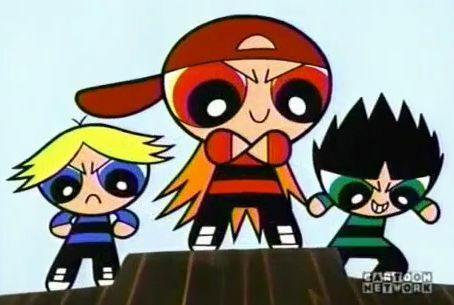 On a smaller scale, the Powerpuff Girls manipulate affection as a means of saving the people of Townsville while simultaneously extinguishing the threat of the Rowdyruff Boys. In this deeper reading, the Powerpuff Girls make an alternative argument to most animated action series: there are other ways to fight. Subverting expectations and societal projections, early episodes of The Powerpuff Girls showed us all what it means to fight like a girl (a message Cartoon Network continues to push as it celebrates the 20th anniversary). Empathy, affection and showing that which may have never been embraced and afforded to the boys before, the Powerpuff Girls are able to defeat the boys just by being nice. The Powerpuff Girls never killed anyone with kindness — but it did win them a fight. Julia is an entertainment writer with featured work at The Playlist, Film School Rejects, HelloGiggles, PopSugar, The Young Folks, and Screen Rant.